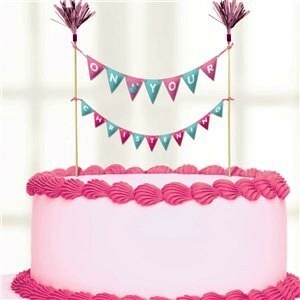 Christening Day Pink Cake Picks are perfect to complete your christening cake. They are bunting styled picks in colours of pastel pinks and pastel blues, with the words 'On Your Christening'. A perfect finish to a fantastic day.